Leadership coaching for people determined to make a difference. Becoming a leader is synonymous with becoming yourself. It is precisely that simple and it is also that difficult. Leadership coaching for people who stand for individual dignity, equality, and freedom. Leadership coaching for people determined to serve the world wisely and with impact. Leadership coaching for people who believe that everybody matters. It's time to grow into yourself as a leader. Each of us is called to lead—in our work and in our personal lives—but what great leaders have in common is they play, live and inspire by example from an unshakable understanding of their values and strengths. Great leaders know who they are, what they stand for, and where they want to go in life. So you can create the impact necessary to influence the world of tomorrow. To be an effective leader you'll need to understand how to authentically influence and elevate your impact as an individual, as a team member and within an organization. I'm a Certified and Accredited Professional Leadership Coach who helps people deepen how they know themselves—to boldly lead from a place of self-mastery, authenticity, curiosity, and vision. Certified, professional leadership coaching for ordinary people who believe the extraordinary is absolutely possible. 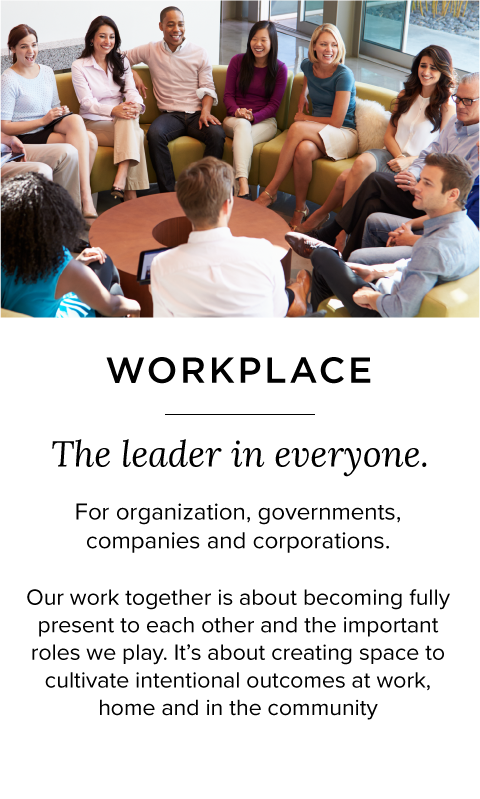 Schedule a consultation to determine if leadership coaching or training is right for you.